Choose between a Glossy White 2 Piece Set Up Boxes, our Classic Gray Mist Set up Boxes or our NEW Green Linen Business Card Boxes. The Glossy White and Gray Mist are made from strong and durable .024 chipboard. Looking for something extra strong? Try the .034 Green Linen boxes. 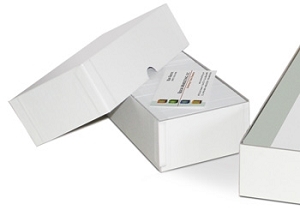 Set up boxes will save production time and give your customers a durable storage box for their business cards. 3-11/16 x 3-11/16 x 2"
5-1/2 x 3-11/16 x 2"
7 x 3-11/16 x 2"
3 3/4 x 2 1/4 x 1 3/4" Fully assembled business card boxes. 3 3/4 x 2 1/4 x 1 3/4"
6 x 3 1/2 x 2" Fully assembled stationery boxes. An attractive grey leatherette paper is tightly wrapped on the covers. Strong and durable 2 piece construction. 32 lbs. 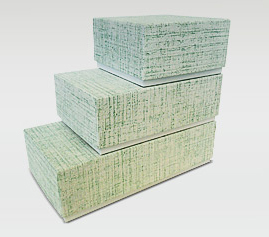 shipping carton 21-1/2 x 19 x 14-1/2"
7 x 3 1/2 x 2" Fully assembled business card boxes. FOB FACTORY. Allow 3-4 days to ship.ships as oversized, 32 lbs. shipping carton 21-1/2 x 19 x 14-1/2"
7 x 3 1/2 x 2"
4 x 3-1/2 x 2"
8 x 3 1/2 x 2"
4 3/4 x 3 1/2 x 2" Fully assembled stationery boxes. 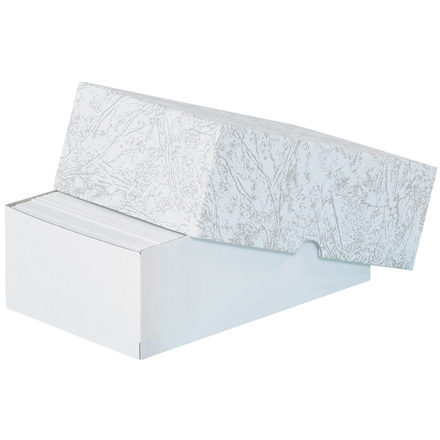 10 x 3 1/2 x 2" Fully assembled stationery boxes. 12 x 3 1/2 x 2" Fully assembled stationery boxes.